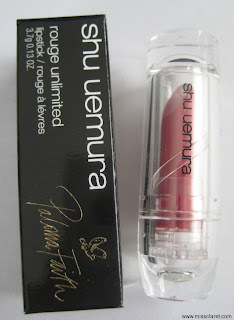 I bought Shu Uemura's Paloma Faith Unlimited lipstick (RD 170) a few weeks ago from Selfridges online. I had tried it on in-store and was disappointed to discover upon paying that it had already sold out! 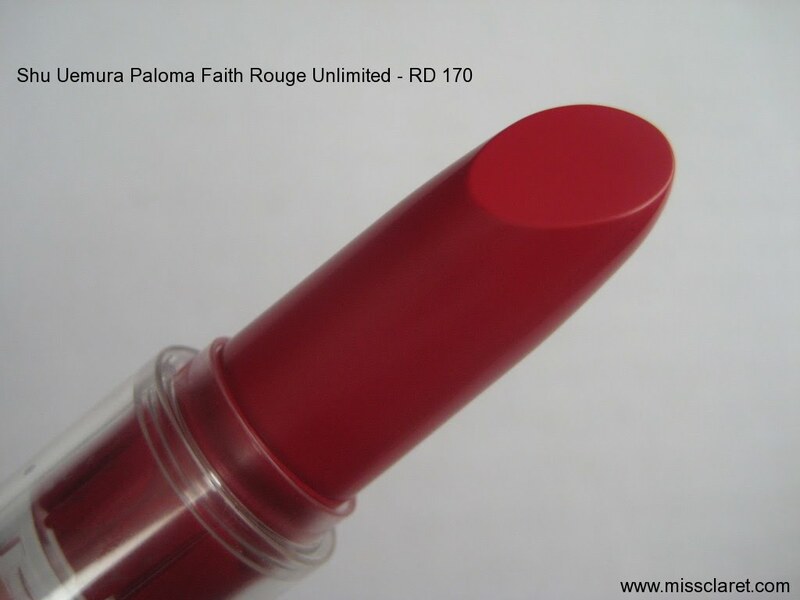 The colour is a rich raspberry red and is beautiful in consistency. 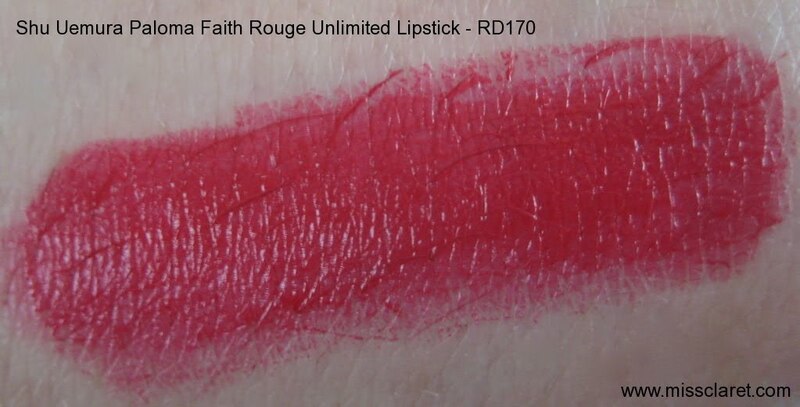 It is slightly different to my current reds, but flattering nonetheless. 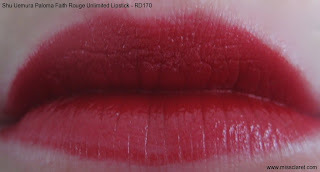 The lipstick tube is ergonomic and modern and again, quite different to my usual red lipstick tubes.